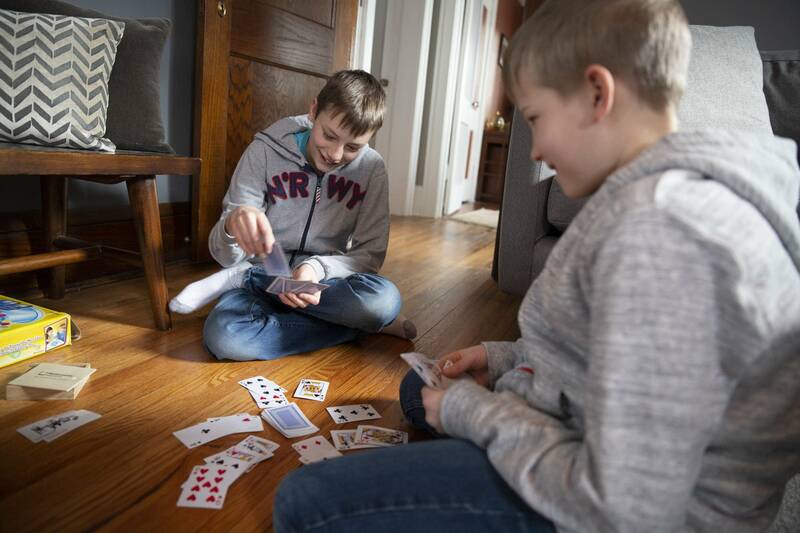 Updated: 6:15 p.m. | Posted: 5:23 a.m.
Schools, businesses and governments were bracing for more mind-numbing bitter cold on Thursday as the arctic freeze that grabbed Minnesota and the Upper Midwest Wednesday refused to let go. Minnesota's biggest school districts have called off Thursday classes; others are also eying closures or delays. Wednesday's round of double-digit subzero weather forced widespread closure across Minnesota, even prompting the U.S. Postal Service to suspend mail delivery because of the cold. Many normal activities shut down and residents huddled inside as the National Weather Service warned of plunging temperatures from one of the coldest air masses in years. Even some firms that make their money from the cold were forced to adapt. The world-renowned automotive cold weather testing center near Baudette, Minn., had to suspend some operations as wind chills hit 58 below. The Twin Cities weather service office reported that frigid temperature readings from a weather balloon were so extreme, the numbers were literally off the chart. In Ramsey County, officials were dealing with a water main break in White Bear Township. Hit -28 this morning at Minneapolis-St. Paul International Airport, just two degrees shy of our record low of -30 for Jan. 30. A new daily record low was set today at Redwood Falls, where they dropped to -29. As the dangerous cold continues, metro hospitals are seeing an uptick in people with frostbite and hypothermia. Officials with Regions Hospital in St. Paul said they've seen more than 30 patients in the burn center with frostbite since last Friday. In downtown Minneapolis, Hennepin Healthcare said its Burn Center has admitted 13 people for frostbite and at least 9 people are getting treatment at the specialized burn clinic. Doctors say in this cold, exposed skin is susceptible to frostbite in a matter of minutes. 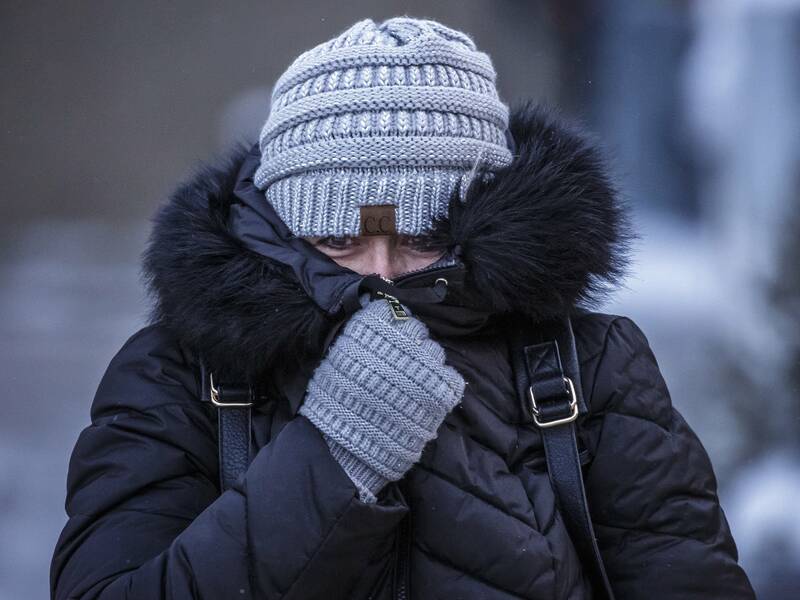 The bitter cold is the result of a split in the polar vortex that allowed double-digit subzero air to plunge much farther south than normal. Major Minnesota attractions, including the Walker Art Center and several Minnesota Historical Society sites — including Split Rock Lighthouse — weren't opening Wednesday. Grocery stores were also conceding defeat. Lunds & Byerlys and Kowalski's said they would be closing at 7 p.m. Wednesday. The cold weather was affecting beer deliveries, too, with a pair of western Wisconsin distributors saying they would delay or suspend shipments for fear that beer would freeze in their trucks. The Postal Service said it would suspend mail delivery on Wednesday in parts or all of several Midwest states including North and South Dakota, Nebraska, Kansas, Minnesota, Wisconsin, Iowa and Illinois. Post office operations will be available, but may be limited, and mail won't be picked up from businesses or collection boxes. The cold isn't stopping one of America's most formidable endurance tests, however — the three-day Arrowhead 135 was going on as scheduled in northeastern Minnesota. Competitors can cover the race route by bicycle, cross-country skis or just running. Hundreds of public schools and colleges canceled classes Tuesday and Wednesday because of the frigid weather. • Tell MPR: How do you juggle work and family when school is closed? Several Minnesota school districts have called off classes Thursday, the districts announced Wednesday. Officials in many school districts are still deciding whether to cancel classes Thursday as well, while the University of Minnesota extended its class cancellation through noon Thursday in the Twin Cities. Check the list of the school districts closed Thursday at the bottom. 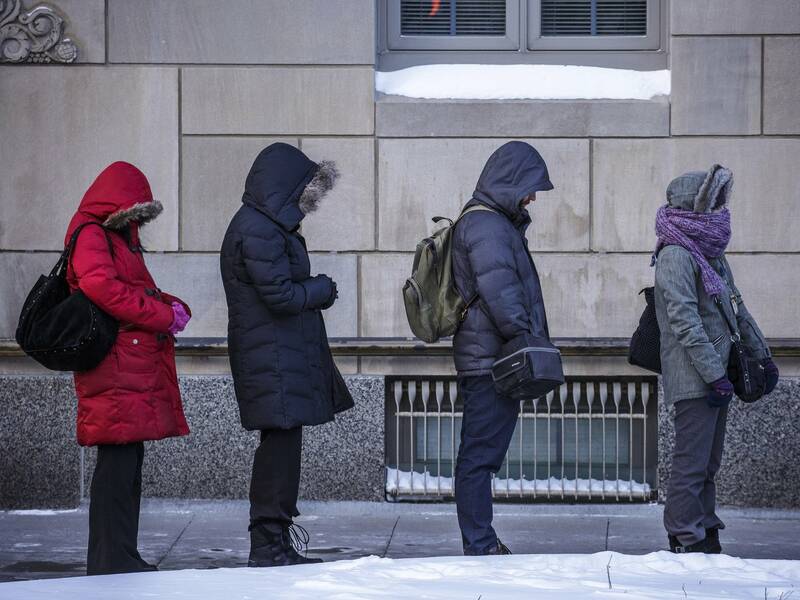 In the Twin Cities, the cold left its mark on the light rail system. A crack in the Blue Line track forced northbound and southbound trains to briefly share a single track between the Cedar Avenue station in Minneapolis and the Mall of America in Bloomington. By 8 a.m., Metro Transit said track repairs had been completed and that regular service was resuming. Overnight, the Minnesota Department of Transportation briefly pulled snowplows off the roads in 11 southeastern counties due to the extreme cold. The agency said some plows were experiencing mechanical problems so the plows were idled for about five hours. Officials said they didn't want to put drivers in danger if the plows malfunctioned. In Rochester, Minn., public transit is offering limited service Wednesday due to the extreme cold. Transit service will be limited to direct routes to park and ride lots only. The transit agency suspended all service late Tuesday night due to mechanical difficulties caused by low temperatures. Rochester Public Transit is offering free rides to anyone who needs protection from the cold. Homeless people in the Twin Cities are being forced to sleep in light rail trains or on the streets during this week's stretch of deadly cold weather as most shelters are full in Minneapolis and St. Paul. "It's tragic and very, very difficult to reconcile the fact that we've got limited housing and limited shelter options in this town when we know that there's folks that don't have a place on days like this," said Steve Horsfield, executive director of the homeless advocacy nonprofit Simpson Housing Services. Many shelters are open extended hours this week, but there still aren't enough beds available for people who want them, said Chris Knutson, street outreach team lead at St. Stephen's Human Services. Hawaii native Charles Henry, 54, was staying at a shelter in St. Paul, and said he was grateful to have a place to stay out of the cold. Many Minnesota cattle ranchers are keeping a close eye on their herds in the cold weather. Unlike dairy cows, John Appel's 50 angus cows spend the winter outdoors. Appel runs a ranch in Aitkin, north of Mille Lacs Lake. The cows, he said, know how to keep warm. "I'm looking out the window at them right now," he said Wednesday, "and they're all standing at a perfect angle to the sun so they're sucking up as much sunlight as they can. They all face away from the wind and turn at the right angle to the sun." During these bitterly cold days, Appel gives the cows extra food — as much hay as they will eat — to help them stay warm. At night, the herd beds down among pine trees, where they're protected from wind. The cattle sometimes get minor frostbite, he said, but it's not common. As many as 6,300 Xcel Energy customers didn't have electricity at one point Tuesday night as temperatures continued to plunge. Xcel received multiple calls over a specific outage near Savage, spokesperson Matt Lindstrom said. That problem was related to the cold weather, he said, but he didn't have specifics. Xcel was pleading for customers to conserve natural gas late Wednesday as the utility prepared for bitterly cold temperatures overnight into Thursday. Lindstrom said he didn't know how the cold weather is straining the natural gas system. If customers detect a rotten egg smell, they should leave their homes and call 911, then Xcel Energy, he added. Larry Larson sells winter weather conditions. But Wednesday it was just too cold to keep everything running at Automotive Enviro Testing near Baudette in far northern Minnesota. Car and truck companies from around the world come to the test site to subject vehicles to the worst winter can offer. One test involves driving through a 165 foot long pool of water and snow to test how ice buildup affects a vehicle braking, suspension or steering. "We had a group that was going to start a slush test at 8 o'clock this morning and we had to shut it down ... it actually became too cold to do one of our very important winter tests," said Larson, who adds it's the first time in 29 years he's shut down the slush test because of cold conditions. • NewsCut: Minus 26? Nice! The National Weather Service says temperatures are expected to rebound 75 degrees — that's right, 75 degrees — between Thursday morning and Sunday afternoon. The forecasted highs this Sunday for southeastern Minnesota is around 45; northern Minnesota is expected to hit 20 and 30. Check more school districts here. MPR News staff Cody Nelson, Matt Sepic, Catharine Richert, Nancy Yang and Dan Gunderson and the Associated Press contributed to this report.